The Children’s Bookshelf from WCMU Public Radio showcases new children’s book titles meant to engage young readers in the joy of story found in both the written word and illustrations. The target audience includes teachers, librarians, parents and grandparents as part of their role to foster the love of reading. Each of the two minute reviews have accompanying study questions and activities and are available as podcasts. 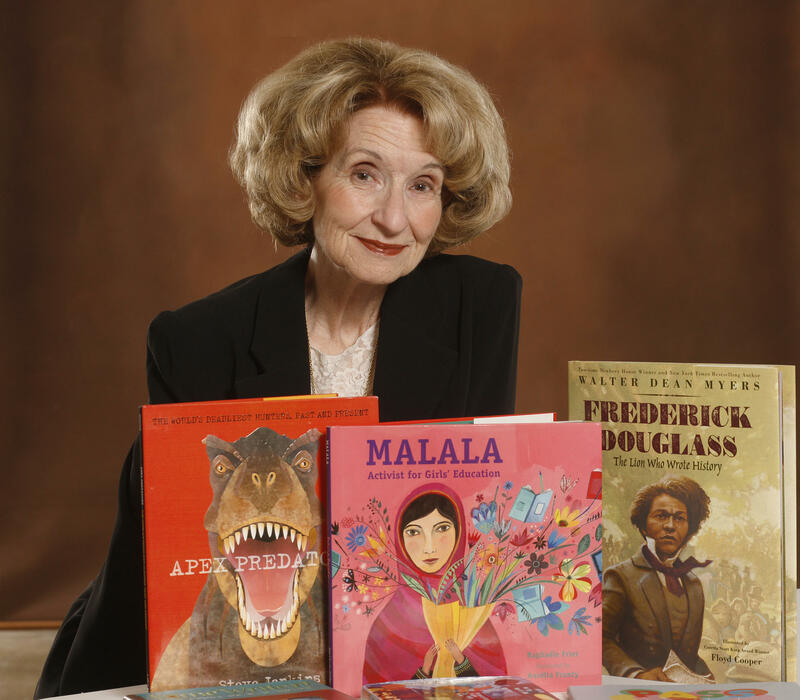 Children's Bookshelf host Dr. Sue Ann Martin. The series host and reviewer is Dr. Sue Ann Martin, Professor Emerita of Communication and Dramatic Arts in the College of Communication and Fine Arts, at Central Michigan University. Our theme music for The Children’s Bookshelf is the polka from Denes Agay’s “Five Easy Dances”, performed by the Powers Woodwind Quintet, in residence at Central Michigan University’s School of Music. It is taken from the album GEMS, on the White Pine label. The Children's Bookshelf only accepts for possible review titles that are sent from the children's book divisions of national publishers. 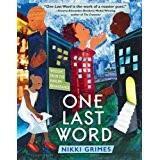 On today's edition of the Children's Bookshelf, Dr. Sue Ann Martin reviews One Last Word: Wisdom from the Harlem Renaissance by Nikki Grimes. She says it's a great collection of poetry and art for 10 to 14 year olds. 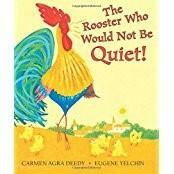 Children's Bookshelf: The Rooster Who Would Not Be Quiet! This week on the Children's Bookshelf, we review The Rooster Who Would Not Be Queit!, a delightful story by Carmen Deedy.